Welcome to the Provo/Timpview Class Of 1978 forums. Please press "Post Response" to participate in the discussion. I was viewing the 10 yr. reunion photos. The 3rd photo from the end, I beleive that the gentleman in the white coat with the pony tail is Mark Osler. I think that's John Keyser with Ken Webb and his wife in both the third and second photos from the end. Annette Milner is on the far right of the picture second from the end. Mike, in the fourth photo I believe it's Barbara Francom ( on the right ). Could be Cindy Dallin on the left, but I'm not sure. Side note : where did you drag up those pictures from, I know I'm getting older, I just don't remember that reunion ( scratching head ).... Thanks Mike, keep up the great work ! I have some more photos from the 25 year reunion If you would like me to post them just let me know where to send them. The 10 year reunion...were all your clothes and hair-do's really in style? OUCH. I missed that one.See you this week. Thank you for all the hard work that took place to make this reunion possible. I had a great time, and think you guys are the best for putting this together. I was not able to attend the reunion. However I would like to thank all those who helped to organize this website and the reunion. I have enjoyed reading about classmates and seeing the many pictures which have been posted. It has been humbling to view the “IN MEMORY” tab and recall memories of those who have move on, thanks again. Does anyone have a good color photo of the Provo High School building taken between 1975 and 1979 that they could e-mail me a copy of. I'm working on a family history and would like to incude a photo of Provo High School. Hey, I joined this site and was hoping to get an invite to the 30 year reunion but it never came. Oh, well. It was fun looking at the photos. I was viewing the 10 yr. reunion photos and the 20th photo from the bottom is a photo of Diane Bigler (Brad's wife and Char Moore (Paul's wife). The 23rd photo from the bottom the person in question is Jenifer England I think. Dunk's drummin in Heaven, runnin a backhoe too. Spent a little time clicking through this site. Really a labor of love. Thanks to all of you who are spending time on this. Very fond memories mixed with sadness over those who have already passed on. I'm contributing to the class reunion donation, but would also like to know about the Scholarship fund, if anyone can tell me more. Congratulations to Mike Bateman who has been called to be the mission president starting in July! This may be old news to you Utonians, but its new and exciting news to me! Send all your St. Louis referrals to Pres. Mike, but wait til after July! Sean Dixon has also been called as a mission president. He's from Timpview but a couple years after us. Sorry to report David Perry died last week. Here is the obituary. We were just put in his ward with a stake realignment and I was lucky enough to cathc up with him before he passed. Great guy--very sorry he is gone. David Malin Perry moved from this realm to the next on March 8, 2017, surrounded by his loving family. David suffered an unexpected heart attack at the age of 56. He is survived by his wife Heidi, his children Kathryn Perry (Matt) of Salt Lake, Steven (Charity) Perry of Orem, Michael Perry, Andrew Perry and Sarah Perry of Pleasant Grove, and four children from a previous marriage Jamie (Parker) Taylor, Tyler (Rhea) Perry, Erin (Chris) Jones, and Morgan (Bobby) Pombo, as well as 15 grandchildren. He is preceded in death by his son Daniel, his father Malin, and his brother Rob. Dave was born on April 6, 1960 in Rigby, Idaho. He is the son of Marilyn Tall Perry and the late Malin Perry. He married Heidi Holbrook in the Jordan River Temple on April 3, 1992. Dave was an active member of the LDS church. Family and the gospel were the center of his life. Spending time with and serving his family and attending the temple were what he loved most. An avid hobbyist, Dave loved to construct and fly model airplanes, fly kites, bike, problem-solve and garden with his wife. Dave took to heart the need to provide for his family through his vocation in computer programming. His career took him to many places in the country, and he was nationally recognized for his achievements with Salesforce.org. Michelle Goff (Fowles) passed away in 2013. She was living in Kansas with her family and died of natural causes while on a trip. Her husband was serving as Bishop at the time of her death. Andrea Michelle Fowles, our dear wife, mother, grandmother, and friend, was unexpectedly called home on January 6, 2013, in Portland, Oregon. She was born in Portland on November 6, 1959, and later spent much of her childhood in California where she and her future husband, David, became good friends. While attending Brigham Young University, they fell in love and became the best of friends. Michelle and Dave were married in the Manti Utah Temple on December 30, 1980. Michelle's love and service to family was her focus and joy in life. She loves her husband and would choose spending time with him over anything else. Her motherly love for her children included teaching them how to cook and bake and supporting them at every school and sporting event imaginable. Most importantly, she is their confidant and friend, instilling them with integrity and kindling a faith in Jesus Christ that burns brightly today. She used her many talents of crocheting, cooking, and basket making to bless the lives of those she loved and cared for. She loves nature, always being the first one to spot a deer in the woods, and found joy in watching and feeding birds. Whenever we hear the song of a bird, we will think of Mother. Michelle is survived by her husband of 32 years, Dave; five of her children and their spouses: Jasher (Jenny), Ashley (Nate), Geoffry (Hidemi), Kirsten (John), and Hannah; her four sisters: Sandy, Wendy, Lesle, and Kim; and her sweet granddaughter, Keira. She is preceded in death by her parents, Vyrl and Madge Goff, her older brother, Randy, and her youngest son, Andrew. She was buried in the New Tacoma Cemetery in Washington State on Friday, January 11, surrounded by her family. A memorial service will be held on Saturday, January 19, at 10:00 AM at the Church of Jesus Christ of Latter-day Saints in Leavenworth, Kansas, located at 10th and Limit Street. In lieu of flowers, donations may be made to the Children's Advocacy Center at the Alliance Against Family Violence in Leavenworth (913-682-1752 / P.O. Box 465, Leavenworth, KS 66048). Paul Alan Gillespie, Coach Gillespie, was born in Provo, Utah February 18, 1945 to James Robert Gillespie and Wilma Wiscombe Gillespie. He peacefully passed away in his Pleasant Grove home, Wednesday, March 7, 2018. Coach Gillespie graduated from Orem High School, Ricks College, and later from Brigham Young University. Always a lover of sports, he participated in high school and college football, wrestling, and track. Coach Gillespie was a devoted father, teacher, coach, and friend. He was married to JoAnn Bellows Gillespie in the Salt Lake Temple on April 4, 1968 and was a devoted husband until her death in November 2015. On April 21, 2017 he married Marianne Rees in the Provo City Center Temple and was a devoted husband. Marianne was extremely devoted to Paul and continually cheered him on throughout his illness. She truly brought love, life and joy into his life. Coach Gillespie was an amazing teacher and coach. 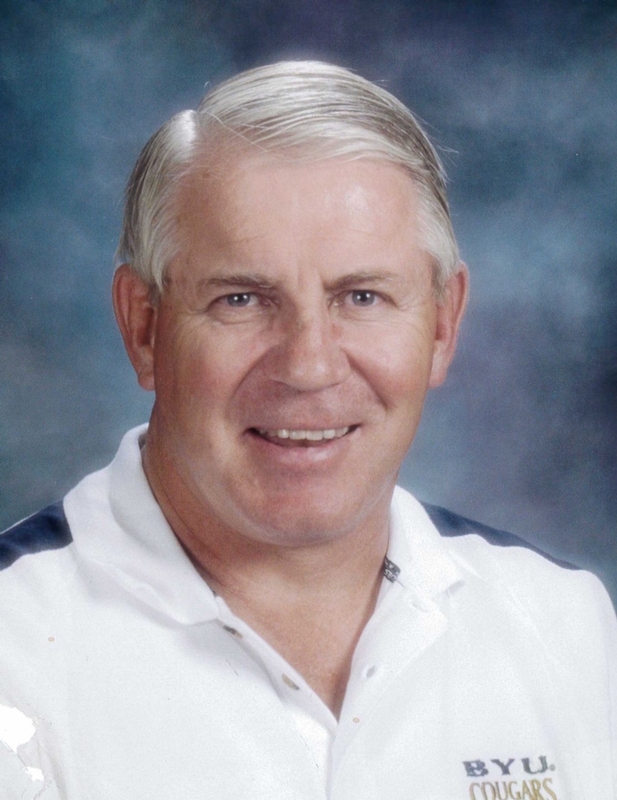 He devoted over 42 years of his life to teaching in high schools across the state of Utah including: Pleasant Grove, Provo, Timpview, Orem, Murray, Cedar, and American Leadership Academy. He held a special place in his heart for the many years taught at Pleasant Grove and Timpview High School. Coach Gillespie has influenced the lives of over 20,000 students throughout his career. He had a great love for football. He coached and attended high school football games long after he retired. He claimed to plan trips to the hospital around college bowl games that he greatly enjoyed. As a devoted follower of Jesus Christ, he served a mission in London, England from 1966 to 1968. He served as a high councilman and a bishop in a BYU stake, later as a branch president in the Provo Missionary Training Center, and at the Provo Canyon School. His most well known and loved calling was as a gospel doctrine teacher. Coach Gillespie worked hard and never gave up. As a father of eight children he taught them how to work. He built three homes and valued yard work. Irrigation boots and work gloves were a regular part of his wardrobe. Paul Alan Gillespie is survived by his devoted wife, Marianne Rees, his children Kimberly (Brad) Anderson, Stephanie (Andrew) Horton, LauraLee Gillespie, Kelly Gillespie, Kerri (Matthew) Larsen, Kristopher (Michelle) Gillespie, Julie (Jeffrey) LeCheminant, and Spencer (Angie) Gillespie, Emily (Josh) Peay, 31 grandchildren, 1 ½ great grandchildren, his sister Mary Taylor, and brothers Robert Gillespie, Richard Gillespie, John Gillespie, and Jeff Gillespie. He is preceded in death by his wife, JoAnn Bellows Gillespie; sister, Petrea Gillespie Kelly; brother, William “Bus” Gillespie; and parents, James Robert and Wilma Gillespie. Funeral Services will be held Saturday, March 10th, at 11:00 am, the Edgemont 7th Ward, 555 East 3230 North, Provo, Utah, where Viewings will be held Friday, March 9th from 6:00 to 8:00 pm and prior to services on Saturday from 9:30 to 10:30 am. Interment in Orem City Cemetery. Sorry to hear about Coach Gillespie passing away. Reading his obituary brings back many good memories of Timpview football. He was a geat man.